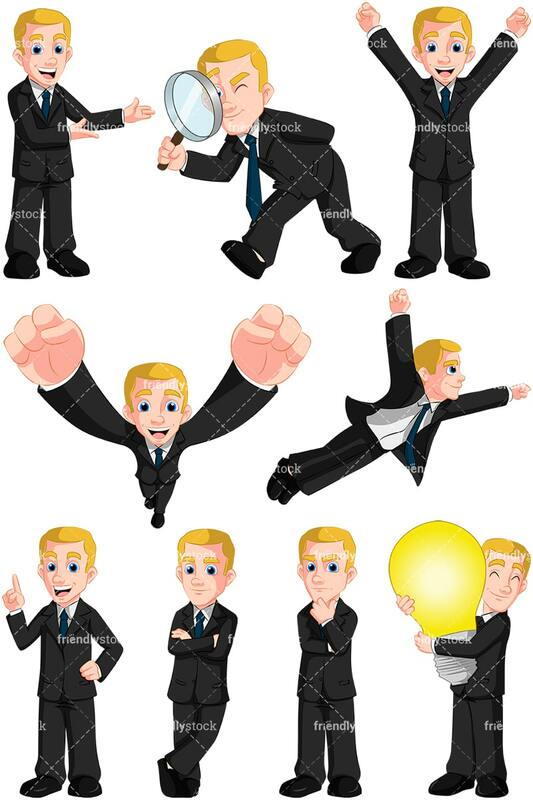 Royalty-free stock illustration of a businessman hugging a giant yellow light bulb while closing his eyes and smiling. Is there a big idea running through his mind? 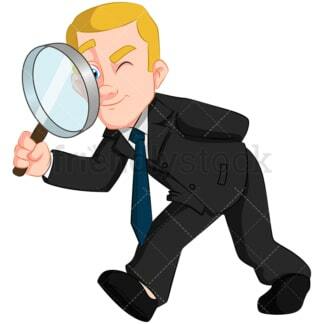 Royalty-free stock illustration of a businessman looking through a giant magnifying glass while walking. He’s got a sly grin that makes you wonder what he’s looking for! 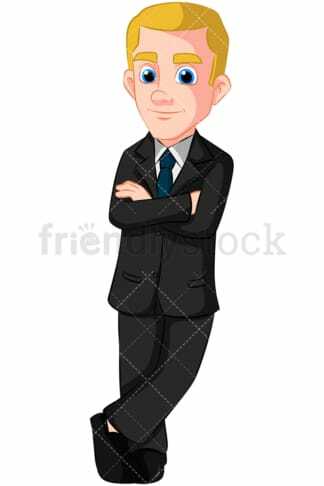 Royalty-free stock illustration of a businessman standing with his arms crossed in a relaxed pose. He’s got a blank expression and one ankle is crossed over the other. Royalty-free stock illustration of a businessman standing up and giving a presentation. His arms are held out the the side, as if pointing as something. Are you listening? 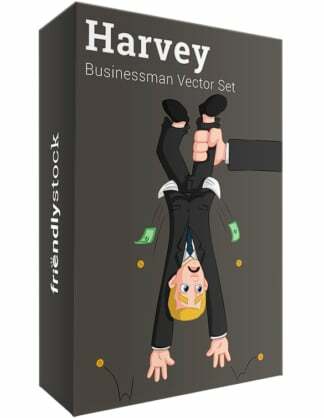 Royalty-free stock illustration of a businessman cheering with his arms raised above his head. Free Drinks for everyone! Royalty-free stock illustration of a businessman waving his finger in the air while making an important point. He’s still got his smile, though! 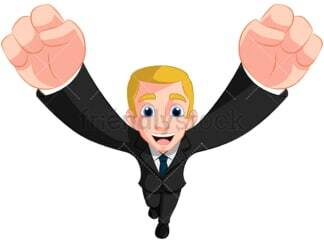 Royalty-free stock illustration of a businessman cheering at you, as if through the lens of a camera. His arms are held high and are at the forefront of the image. 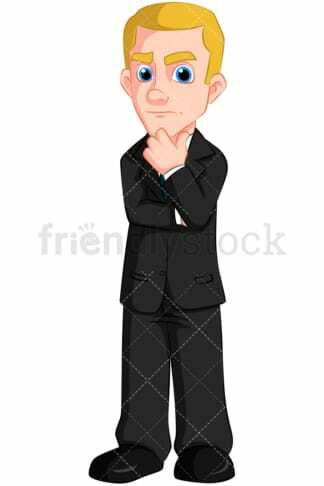 Royalty-free stock illustration of a businessman thinking seriously with left his hand on his chin. He’s got a serious look. Is somebody in big trouble?